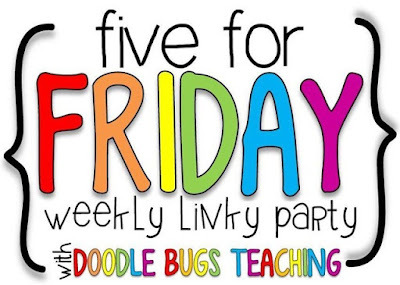 I am so excited to be teaming up with Doodle Bugs Teaching for her Five For Friday! Today is Friday the 13th and it's a full moon!! 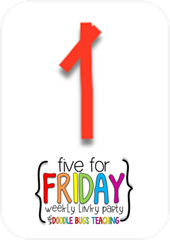 I am so glad that I do not teach on Fridays! I was honored to be a featured blogger on the We Teach Sped Facebook page! 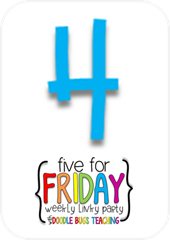 Each month they pick ONE featured blogger and they chose me!! 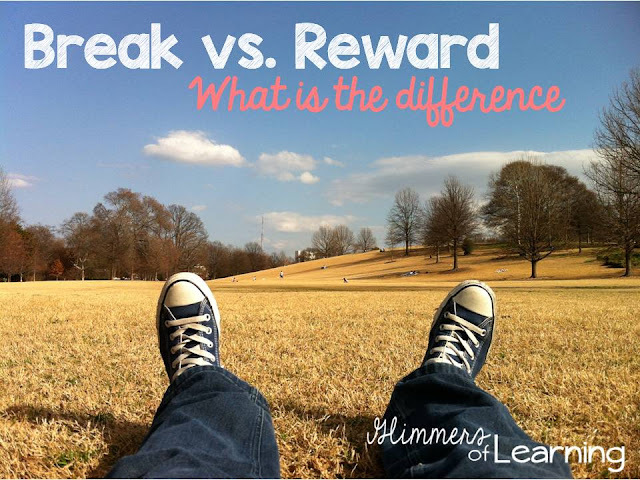 In my job I see people using the word break and reward interchangeably. These two are DRASTICALLY DIFFERENT! 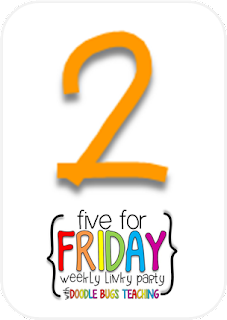 If you are curious about the difference check out my blog post by clicking on the picture below! This Saturday, May 14th is National Childhood Apraxia Day! My daughter was diagnosed with Childhood Apraxia around her second birthday. She will be turning three in July. We have been blessed with some amazing therapists who have not only helped her grow (slowly, of course) but also have helped us in ways they will never know! I created this T-shirt for my daughter to wear on Saturday! The color of Childhood Apraxia is Blue. Being that I waited until Thursday to make one I couldn't find a blue shirt I liked in her size, so instead I used blue font! 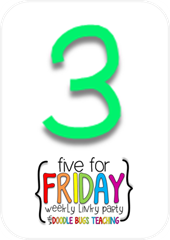 I shared this blog post with family members as well as teachers in my district to help spread some awareness and understanding! Check this amazing blog post that was written by Love my Simply. You can also find out more information from Childhood Apraxia of Speech Associations of North America. I plan on blogging some more about Childhood Apraxia and our journey soon! I have had the pleasure to be a HUGE part of our schools PBIS team these past two years! 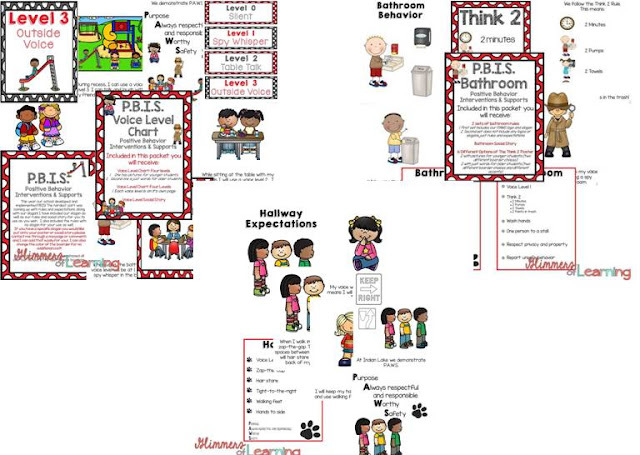 We have created rules and social stories for a majority of the areas of our school and with all the time I have put into creating these I wanted to share with anyone else who may be starting the PBIS journey! So far I have uploaded my Voice Level Packet, Bathroom Packet and my Hallway Packet. I will be adding cafeteria, recess, assemblies, office, library, classroom and computer lab soon! I got to try Love with Food a few weeks ago. I was skeptical about getting a box full of snacks and especially gluten free snacks as it can become extremely difficult to find good ones, and I am extremely picky!! But I honestly loved it all! If you are interested in checking out why I love this company click on the picture above! You will get a box of snacks and they will give a meal to a child in need in America! Love with Food is offering my readers 50% a gluten free box! I honestly LOVED everything that I got in my gluten free box so if you eat gluten free for any reason now is the time to check it out!! For Mothers Day I created these ring bowls for my mom and mother in law! I used my Silhouette Cameo and cute little bowls I found at Target! Those bowls are really cute! I am hoping to get a Cameo from Santa this year!